In late October, a couple of huge asparagus-like stalks erupted from Agave parryi rosettes in Melbourne Gardens. 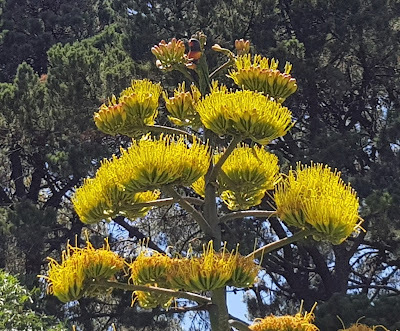 A month later (below) the stalks transformed into what look like small pine trees, flaunting brushes of golden flowers. 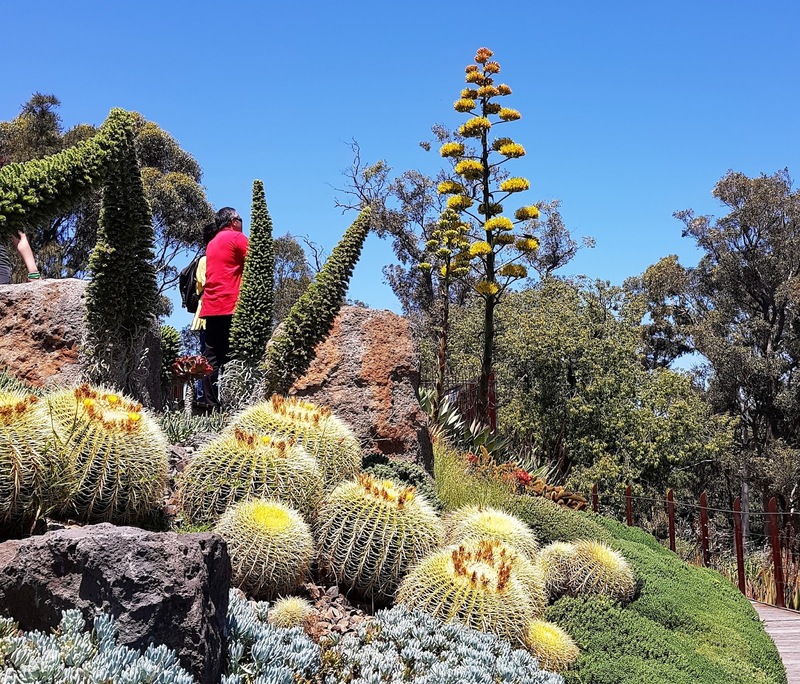 The species is scattered through the Californian Garden (above) and atop Guilfoyle's Volcano (below, along with Echium and barrel cacti vying for attention). The Mescal Agave, as commonly called, is one of 160 species of Agave, all of which come from North and South America, mostly from Central America and particularly from Mexico. 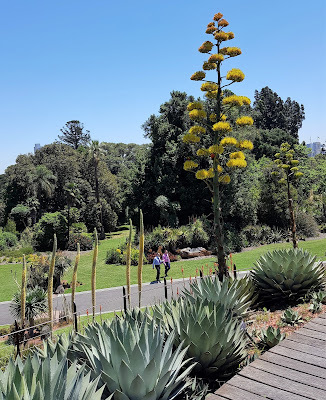 Conveniently, given the structure of the young flowering stalk, Agave is these days considered to be a member of the Asparagaceae, a rather large family now of more than 100 genera and nearly 3000 species. So what's with the common name Mescal. Firstly the spelling. That's the way many non-Mexicans spell the name of the distilled agave spirit, considered to be a 'kind of' Tequila. 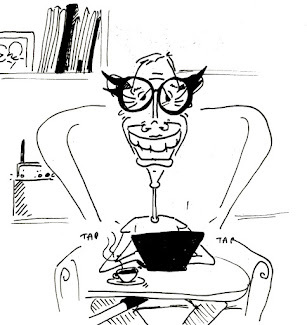 In fact, the legal and Mexican spelling of mezcal/mescal, the spirit distilled from Agave, is mezcal. Mezcal, according to Amy Stewart, author of the entertaining and informative The Drunken Botanist, can today only be made in five Mexican states, from species of Agave species growing in those areas. 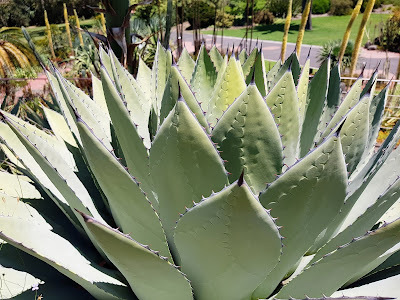 Tequila needs to come from somewhere near the city of Tequila* and from Agave tequilana 'Weber Blue' (although most tequila drunk outside Mexico, again according to Amy Stewart, is fermented from sugars from various agave as well as other sources). There are other agave-based spirits with their own fancy names. 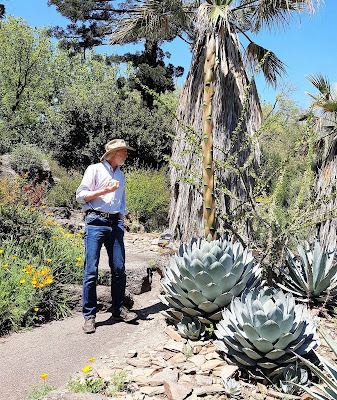 What I can't find is Agave parryi listed specifically as the source of any agave-based spirit: mezcal, tequila or otherwise. Native Americans used the species for 'food, fibre, soap and medicine' and although linked to pulque (an inferior kind of alchoholic beverage) and mezcal on some sites the reference seems to be more a general one and could relate to a range of agave species. Mescal Agave comes from high altitude grasslands, scrub and woodlands in Arizona, New Mexico and northern Mexico, and according to the Missouri Botanical Gardens site it flowers 'infrequently', 'rarely' and more helpfully, after 10-15 years (although sometimes taking 20-30 years, which is far closer to rarely). Mostly it is grown for its attractive leaves, glaucous grey with a sharp terminal point and neat imprints of the leaf from either side, a ghost memory from the time they shared a common bud. Like most agaves, each rosette will flower once, then die. Pups or offsets at the base will then take over until they too flower and die. And so on. 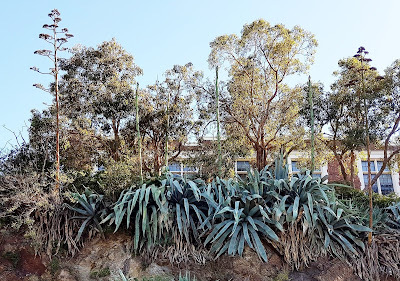 Here you can see a well known species, Agave americana (the Century Plant), going through its paces on a roadside in South Yarra. 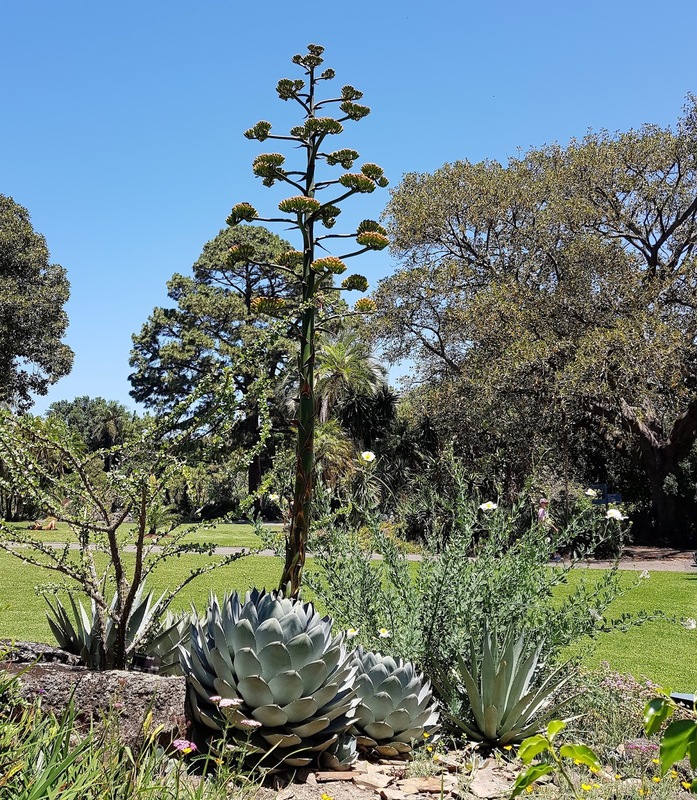 We have plenty of Mescal Agave pups - and even more semi-mature canines - so expect to enjoy a procession of summer blooms over coming years. 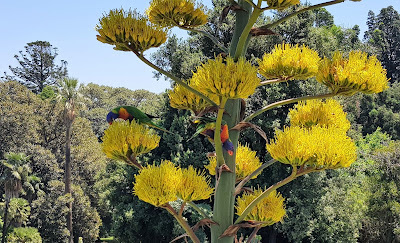 I know our rainbow lorikeets will. Images: the asparagus-like shoot next to Neville Walsh was taken on 23 October 2017, the rest are from 28 November 2017. The species is sometimes split into varieties. Ours would be variety truncata. *As Wayne Robinson, President of The Cactus and Succulent Society of Australia, advises in a comment below, 'somewhere near the town of Tequila' somewhat underplays the extent of the region... For the full extent of the Tequila appellation region, see Tequila.net. Thanks Wayne! Tequila does have a much bigger range of growing areas that are accepted. It is commonly misunderstood that it must grow close to the city of Tequila but that is not the case. Thanks Wayne. I think my 'somewhere near' phrase was a sneaking suspicion the region wasn't just at Tequila. I see it's a wee bit broader than that... I've added a footnote to my post. Thanks!